3rd - 4th June 2019 in London, delivered by Matt Saunders. Are you adopting the Docker platform to containerise and secure robust, highly available, and self-healing applications? Join Matt Saunders for this intensive Docker Fundamentals course and learn the key concepts and practices of containerization, how to containerize on a single Docker node, the foundations of orchestration and how to scale out with Docker across multiple nodes in a swarm, in assimilations and hands-on exercises. Upon completion of this Docker Fundamentals course, you will understand how to modernise your software supply-chain with Docker, the foundations of Docker security, of containerization, and of Docker's continuous integration model. You will also understand the concepts of the Docker networking models, how to deploy a swarm application and scale it out applying common Swarm operations, and how to create, manage, and update Docker secrets. Got the basics down? Join Advanced Docker for Enterprise Operations! Skills Matter is an Authorized Partner of Docker and all attendees of the course will receive an official certificate of completion from Docker. "Great pace, easy to follow and understand. " "Excellent course given by Matt. He was adding lots of colour and giving good insights into real world use cases." Matt is a pragmatic technical operations architect and leader with Adaptavist - the leading Atlassian partner. A Docker user since 2013, Matt has significant experience in deploying Docker based environments and training small and large groups in its use. If you are an administrator or developer and you want to learn how to administer and build enterprise-grade production systems using Docker, this Docker course is for you! 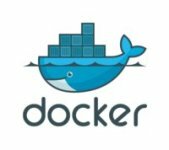 To benefit from this Docker course, you should be familiar with Linux command line, but don't need any prior experience using Docker. You are invited to bring your own laptop to this Docker Fundamentals course, so you can learn with familiar tools, languages and IDE. Please make sure your machine is capable of running an SSH client and has access to Amazon Web Services over SSH (port 22), prior to joining the course. If you are unable to bring your own laptop and you let us know at least 3 weeks prior to your attendance of this course, our team will be able to provide you with a laptop pre-installed with the above environment. Need a hand? Call our team on +44 (0)207 1839040 and mention ref: INTRO-DOCKER-01-02.